Warsaw has emerged from war and communism with the elegance and lasting beauty of an old master rediscovered. Visitors will be charmed by historic architecture and modern structures, cutting edge services and the variety of entertainment on offer. This city has been the capital of Poland since 1596 and is vertically divided by the Vistula River. Most of the major attractions are located in the Centrum area which consists of six diverse districts. Poland has a convoluted, tortured and a very dramatic history featuring the good guys and the bad guys – although it was often impossible to determine which was which! Like an excellent character is only strengthened by hardship the Polish culture has endured and was enriched. The monolithic Palace of Culture remains a handy landmark. As the city’s tallest building it can be seen from almost anywhere and is usefull as an orientation tool. While Warsaw has developed faster than the rest of the country many polish cultural peculiarities such as milk bars and outdoor bazaar’s can still be found. Winter in Warsaw can be bitter – come prepared! Wish to know even more about Warsaw? Visit a page that is dedicated to guide you through all Warsaw has to offer – Warsaw Guide. You’ll know where to eat and shop, what to visit and what to watch all year. The only unregulated river flowing through the center of a European capital is a definite must-see! The cruise is accompanied with a commentary by a professional guide. 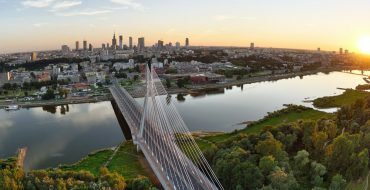 A slow, leisurely cruise provides a unique opportunity of seeing a number of interesting monuments of Warsaw from an unusual perspective, providing the best views of the Old Town, Copernicus Science Center, Warsaw University Library and the National Stadium. Journey in time and urban space. Quite a treat! 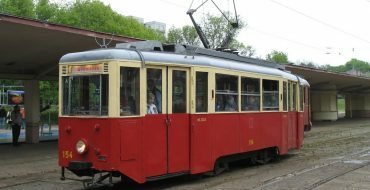 A tour on a historic tramway from 1950s. We provide a live guide commentary throughout the tour. It can be combined with a walk in a selected area of the city. Don’t hesitate to contact us. The price depends on the length of the tour and the time of tram rental. 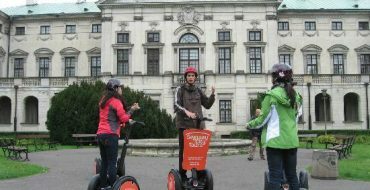 Segway is noiseless, environmentally-friendly and intuitively driven. Anybody would fall in love with this electric vehicle which puts bags of fun into sightseeing making it a truly exciting adventure. The route is 10 km long and the tour takes 2h30. It leads around Warsaw’s most important places allowing you to admire the architecture and the monuments of the city. At the end of the tour, the participants are invited to lunch. Wilanów Palace was the summer residence of the elected Polish King Jan III Sobieski during the 17th Century. It is one of the few places in Warsaw that has not been demolished during strife. Intended as a miniature Versailles by its Italian architect Agostino Lotti it now houses the only modern Poster Museum in the old stables. Activities include canal cruises, art documentaries and music concerts. The city’s Old Town (Stare Miasto) is on the UNESCO World Heritage list and this 14th Century Castle takes pride of place. There are many beautiful parks in Warsaw. Saski Garden (Ogród Saski) is the home of the Tomb of the Unknown Soldier (Grób Nieznanego Żołnierza), which is now the only remnant of the Saski Palace. The Park of Culture in Powsin is within a 30 minute walk. Kabacki Forest (Las Kabacki) is the only forest that can be reached by metro (travel to the south terminus). No surprise, it’s quite crowded these days. For a better forest, travel to Puszcza Kampinoska. 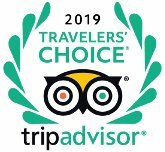 Other outdoor wonders include the vast Łazienki Royal Gardens (Łazienki Królewskie) which includes the Palace on Water (Pałac na Wodzie), the Old Orangery (Stara Oranżeria) and the amphitheatre. Entry to the park is free. The Capital is home to the Polish National Opera and Warsaw Philharmonic and on the other side of the cultural scale you could head to Śródmieście and go clubbing with those in the know. Highlights are the National Museum (Muzeum Narodowe), the Centre for Contemporary Art (Centrum Sztuki Współczesnej), the Zachęta National Gallery of Art (Galeria Zachęta) and the Warsaw Uperising Museum. Warsaw also has the only Museum of Posters in the world as well as an Museum of Hunting and Riding and the Railway Museum. From among Warsaw’s 60 museums, the most prestigious ones are National Museum with a wide collection of works whose origin ranges in time from antiquity till the present epoch; the Museum of the Polish Army. Most museums are closed on Mon and often have free admission once a week. Visitors must usually enter at least 30 min before closing time. The best idea of all is the Noc Muzeów (Long Night of Museums). During this festive international occasion droves of enthusiasts spend the evening in and around Varsovian museums and galleries. Café join the fun and stay open late. At one side of the spectrum are the kebab’s, milk bars and international cuisine from vietnamese restaurants to local Polish extravaganza’s. The Polish prefer to indulge in tea and coffee rather than Vodka! The small local café’s littered around the city can be a treat. But if you thirst for something a little more fortifying you could try Foukier … or any of the international wines on sale. Bars in Nowy Świat street are good. Also treat yourself to a Cajpiroska which is a cocktail of strawberry shake or Caribbean ginger tea over shaved ice.